Thread Lifting is a relatively new procedure, more long-lasting than fillers. 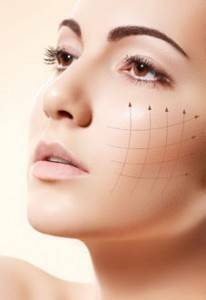 Specially designed resorbable surgical sutures are passed into the tissues below the skin where they rely on the tissues support network in order to lift facial fat pads and consequently have a contour restoring effect. The polydioxanone threads form a scaffold under the skin. These are slowly resorbed and in the area, the body’s natural healing ability boosts the growth of new collagen which will lift sagging tissue, lasting for 2 to 3 years or longer.The facial tissue as well as the the overlying skin is lifted immediately but the effect increases so that it becomes more prominent at 6 weeks and lasts for up to 3 years.